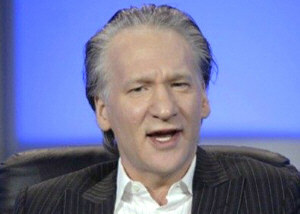 Maher: Wouldn't Being Armed at Least Give Citizens a Chance? Least Give Citizens a Chance? During the November 20 airing of Real Time with Bill Maher, California Lt. Gov. Gavin Newsom's (D) pro-gun control comments were countered by Maher's observation that being armed during a Paris-style attack would at least give citizens a fighting chance to survive. According to MRC/Newsbusters, Maher stepped in to defend the option of being armed for self-defense after Newsom dismissed the idea of a good guy with a gun having any real success against bad guys with guns. Wonders will never cease! Someone from the far left actually acknowledges the potential usefulness of people being armed in an attack situation. It has to be wondered whether Newson (and his ilk), in such a situation, might not just wish some good guys had a gun!